James holds a degree in Town and Country Planning from Newcastle-upon-Tyne University, and is a Member of the Royal Town Planning Institute. He joined the Nature Conservancy Council as Assistant Regional Officer in 1983, and was appointed Head of Policy at English Nature in 2002. 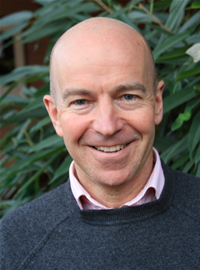 After Natural England was established in 2006, James was appointed Director of Policy, then Director Marine (2008-2012), and subsequently Land Management Strategy Director (2012-2014) when he was accountable for agri-environment scheme design and delivery, and advice on Common Agricultural Policy reform. He is a Trustee at the Marine Conservation Society and Deputy Chair of of Devon and Severn Inshore Fisheries and Conservation Authority. James lives in Herefordshire where he owns and manages two traditional standard orchards from which he produces cider and perry.